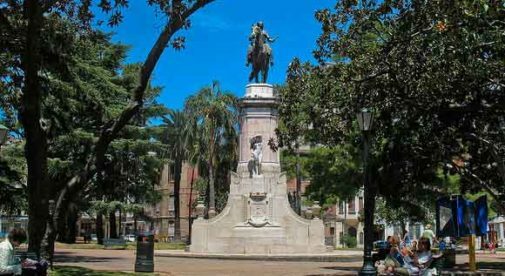 When I first came to Uruguay in 2006, I knew I’d found the place I wanted to live—just six months later, I’d changed my life around and moved to Uruguay. So what prompted such a big change? For starters, the culture of Uruguay is something special—the perfect blend of warmth and respect. Here, people are more important than schedules. Friends and coworkers greet each other with a kiss on the cheek. Neighbors take an interest in each other, and extended families get together on Sundays. As a newcomer who appreciates and respects the local culture, I’ve been warmly received. Most of those people—almost half the country’s population—live in the capital, Montevideo. You’ll find all you need there. I meet friends for coffee, ride my bike along the Rambla (waterfront promenade), and go to the movies—often shown in English with Spanish subtitles. Alongside mom-and-pop stores and modern shopping malls, there’s street tango in the plaza and opera in a fine modern theater. 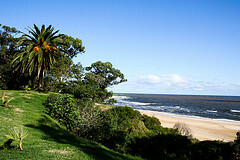 Between Montevideo and the Brazilian border are 200 miles of beaches dotted with coastal towns. Some are small and rural, where you can live an affordable country life on a picturesque Atlantic beach. Then, there’s Punta del Este, a beach resort with gleaming condo towers where the rich and famous gather in January. Some expats I know have opted for living on a small farm or country estate. One popular area for this is near a town called Eden, a 30-minute drive inland from Punta del Este, where you’ll see sheep grazing on green hillsides, stone-stacked fences, and olive orchards. All of this is to be enjoyed in a comfortable climate. While I appreciate a tropical vacation, for full-time living, I prefer a place like Uruguay with four seasons. Summer high temperatures average 82 F with average lows of 63 F. Average winter high temperatures are around 57 F, with average lows of 43 F.
Because Uruguay is in the Southern Hemisphere, the seasons are opposite, making this a great option for snowbirds. And, there are no earthquakes or tropical diseases. In Uruguay, you can live an affordable country life on a picturesque Atlantic beach. In Uruguay you eat well. One of the things I enjoy most about living here is the ready availability of fresh whole foods. I get organic grass-fed beef for the same price I’d pay for regular beef in North America. I shop at the farmer’s market that sets up in my neighborhood twice a week. I buy fresh produce and eggs (from farms just outside Montevideo), fresh fish (just off the boat), and cheese (cut from big cheese wheels made in local dairies). Uruguay also produces quality wines. The most popular is Tannat, a full-bodied red, reported to be the most heart-healthy of all wine varieties. Not that getting ill is a concern. Like many expats in Uruguay, I have a hospital plan. It’s similar to health insurance, except the agreement is between me and a full-service hospital with no third party in the middle. With this arrangement, I get quality care and any treatment I may need for a reasonable monthly fee and small copayments when I use the hospital’s services. Gone are the days of complicated insurance terms and large deductibles. It’s not the only arena where Uruguay makes financial sense. 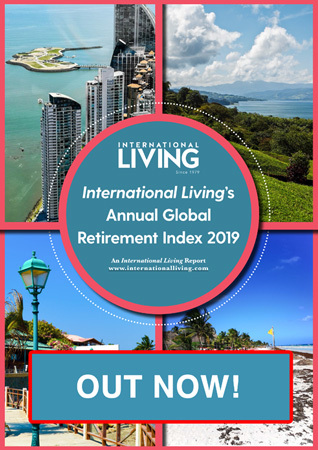 If you’re interested in preserving or even growing your nest egg, there are few countries as attractive as Uruguay right now. The Uruguayan government is fiscally sound with investment grade bonds. In the depth of the 2008/2009 global financial crisis, Uruguay stayed out of recession, and the rate of bad debts on loans for Uruguayan banks was just 1%. In fact, Uruguay’s economy has grown for 10 straight years. It’s one of the best places in the world to buy and own farmland. In Uruguay, foreign individuals can buy property, including farmland, with the same rights as Uruguayan citizens. The farm soils in Uruguay are among the least degraded in the world. While Uruguay is best known for cattle and sheep raising, farms here produce rice, wheat, and trees. Other crops include a variety of vegetables and fruits such as pears, citrus, blueberries, and wine grapes. At the 2015 Ultimate Retire Overseas Conference this June, you can talk to me in person about all Uruguay has to offer. Details of that event are here.